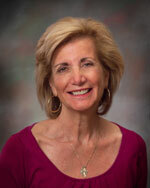 Marlene Marcello-McKenna is a 24-year terminal cancer survivor and prominent author of When Hope Never Dies. Her book details her extraordinary recovery from metastatic cancer and her physical, emotional and spiritual journey back to health.. She has been a guest speaker at holistic health conferences nationwide, appeared on national TV and radio talk shows, and has been featured in magazines such as Ladies Home Journal and Your Health. She was also selected to be part of a National Cancer Institute study on macrobiotic survivors. Marlene’s well-documented survival from terminal disease has provoked the medical establishment into further research of nutritional intervention and holistic approaches. Diagnosed with terminal cancer in 1986 when she was 39 years old, Marlene, mother of four children at the time, worked tirelessly to heal her body and mind through alternative therapy and medicine. She conceived her last son Joseph within two years of her terminal diagnosis and, against the advice of the medical establishment, continued with her pregnancy. Joseph was born healthy and is currently attending college. She immediately started helping many individuals nationwide who learned about her recovery. Marlene has studied nutrition and took basic nursing courses to further her medical knowledge. Marlene has become a national example of how a healing diet, faith, and hope can be important factors in the recovery of cancer and other illnesses. Her “life” challenges with cancer and her studies into complementary and alternative therapies that are available today, have positioned her to be a strong advocate and inspirational speaker.